UMFM's answer to Brave New Waves, Revolution Radio is an eclectic mix of punk, new wave, ska and reggae, with even some Brit pop thrown in for good measure! Your host Twist spins a combination of classic and newer tracks from each genre, plus a healthy dose of local music. 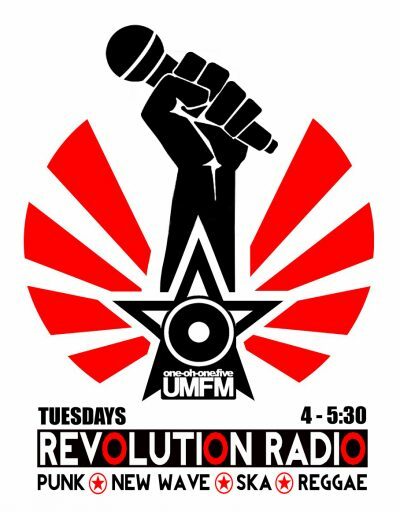 Be part of the Revolution every Tuesday, from 4 to 5:30, on UMFM 101.5 !! March 5, 2019 – Ol' Twist is still away, so here's a classic for you to enjoy!